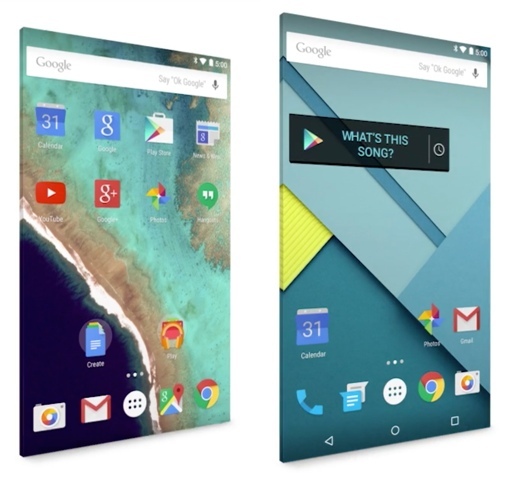 The official release of Android 5.0 Lollipop, the latest major update to the Google Android mobile operating system found on smartphones and tablets, is a week away. A number of its new features were revealed earlier this month at the Google I/O developers’ conference, including a customizable lock screen notification system and a battery saver that extends your phone’s life by up to 90 minutes. Today, Google provided even more information about the coming release on the Official Android Blog, this time detailing the new security features that will soon grace your favorite (recent) Android device. First, Google is making it easier than ever for you to authenticate yourself when using your smartphone. The new Smart Lock feature gives you the option of unlocking using your favorite NFC or Bluetooth device, so long as they’re paired. This feature is obviously designed with wrist-worn Android Gear smartwatches like the Moto 360 in mind. Face unlocking is getting an update too – if someone who isn’t you grabs your phone, it’ll know and lock instantly. Arguably, though, the most important new security feature in Android 5.0 is full device encryption, which now happens at first boot. The encryption key never leaves your phone (where supported, as in the new Nexus 6 phone), making it all the more difficult for hackers and thieves to access your personal information. Full encryption also heightens your protection from overreaching law enforcement agencies and others seeking access to your data without a warrant. Attorney General Eric Holder may find this “worrisome,” but anything short of full encryption creates massive security risks for us everyday users. The Android 5.0 Lollipop update will be arriving soon for owners of Nexus 5, 7, 10 and the other Google Play Edition devices. Plenty of Motorola devices will get the update too, and the popular Samsung Galaxy S4, S5 and S4 Note likely will too. You can find a more comprehensive list of what phones will get the update by visiting Business Insider. For more on the operating system itself, check out our past Android 5.0 Lollipop coverage and visit the official Android Lollipop website.